One of my favourite parts of writing holiday posts is when I discover totally new brands and get to share them with you. The holidays involve more research than any other time of year on the Canadian Gift Guide, so luckily there are plenty of brands to choose from. With that in mind, today I’m pleased to introduce MIXT Studio, a Californian brand that produces an eclectic line of handmade goods that are both wonderful for gifting and wrapping your precious presents in. With Christmas just over a month away, now seemed the like the perfect time to bring them to you. Below I’ve highlighted a few of my favourite products from their line-up, along with some details on what to expect from this wonderful line. I have quite a few friends that are celebrating their first Christmases with a new little arrival this year, which makes it very tempting for me to pick up one of these adorable holiday-themed onesies. Featuring greetings like ‘I Rule The Yule’, ‘Christmas Rookie’ and ‘Santa Baby’, they come packaged up in a cute Tyvek sack, similar to the one Jolly St. Nick carries, making them absolutely ready for gifting. They’re also an ace choice if you’re gifting to someone that’s planning to do some a baby photoshoot or a family portrait for the season. It’s oh too rare that I get to feature actual ideas for wrapping up your precious presents. Unlike other occasions (birthdays, Valentine’s, et al), I actually think it’s a good investment to have some holiday wrap you really love. The reason? It’s likely going to be on display for weeks on end, possibly while having company over – think of your treasures under the tree as a piece of seasonal decor. And really, one that’s relatively inexpensive and ultra festive. 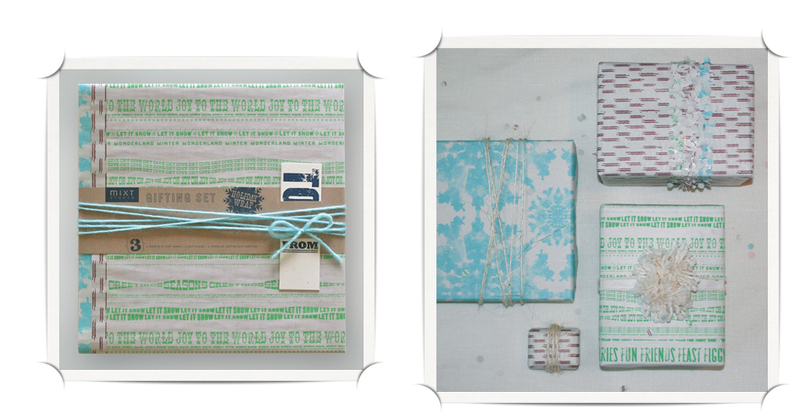 This all-in-one wrapping set includes three sheets of themed, recycled paper (to help cut down on the Christmas waste) along with three gift cards and cottony twine to put a bow on it. Hey there cool aunt / uncle / godparent / cousin / best friend. What a cool gift idea you’ve brought over. Namely, this stylin’ letterpress-inspired growth chart, with two measures to keep tabs on the growth spurts your favourite little munchkins. Along the way, they can also learn some pretty valuable lessons when you’re not in the home to impart your wisest wisdom. Printed on sturdy canvas and easily hung, this is a cool piece for the family that’s got toddling tots or older kids that deserve to have their height progress tracked – plus it makes a great keepsake down the road. Want to get the kids involved in a timeless holiday decorating tradition? 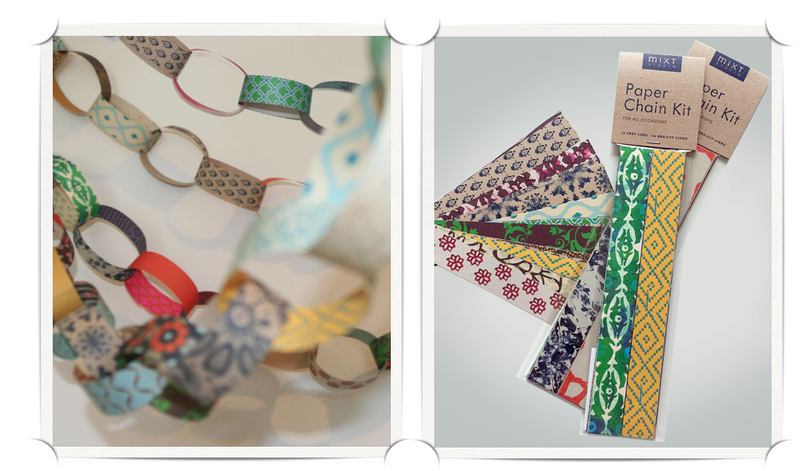 These fun Paper Chain Kits come with an assortment of 44 recycled paper in a range of vintage-inspired patterns – from bohemian florals to textile-like prints, you can mix and match them in virtually any order to have a truly unique and eye-catching tree accoutrement. In fact, you may be tempted to hang your one-of-a-kind creation around the mantle or in the kids’ rooms year-round. A really cool choice to gift your kids with, or to a sibling that’s looking to make their own holiday style mark for the first time. Funny that notebooks – where we’re encouraged to jot down brilliant ideas, bits of wisdom, and snippets of prose – are also pretty bland on the inside. Not so with this eco-friendly stocking stuffer pick. Each notepad features about 40 pages, but every one of those pages is unique from the others, which may inspire your mind as you turn the page to write your latest and greatest ideas (or grocery lists). Where does the random assortment of pages come from you ask? They’re either printed in tandem with other projects or on remnant paper that would otherwise end up in the trash. 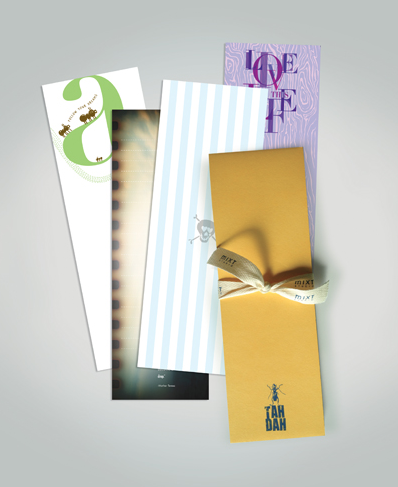 A really cool idea for the teen or student in your life that could use a little inspiration when they put pen to paper. Are you ready to have your mind blown multiple times? First of all, these cheery tote bags, as per the title and photo above, are reversible – allowing you to pull double duty without getting bored of a particular colour or pattern. Exciting yes, but not quite as mind-blowing until you realize these are printed on PAPER. A fabric-y paper, but still. What does that mean for care you ask? Actually, not a whole lot. These lightweight totes are quite sturdy, resistant to stains and water, can’t be torn, and are actually, miraculously machine washable. And if one day you ever do need to part ways? You can actually recycle them. Brilliant. Available in four reversible styles, this is a perfect beach bag, farmer’s market carrier, or emergency bag to toss in your trunk for grabbing dinner, groceries, or library books. 1) Visit the MIXT Studio website and tell me how you’d spend your $50 in the comments below before December 7th. 2) Entries are limited to one per person / per email address / per household (or more if you score bonus entries). A random draw will be conducted on or around December 8th to select the winners, who will have 48 hours to respond before another winner is chosen in their place. 4) Bonus Entries: MIXT Studio is on Facebook. Like them. Leave a comment about why you Like them. Leave a link back to your comment. Earn a bonus entry. Easy! I would spend it on some of the adorable onesies! I would spend it on the Lacy reusable Wine Bag & the Sealife Reversible tote. I would buy a Reversible Tote! I’d get the Sealife Reversible Tote! I would probably spend it one of the reversible totes and a onesie. I would spend it on the Zigzag reversible tote and the Butterfly Kisses card set! I’d spend it on a reversible tote and a reusable wine bag. 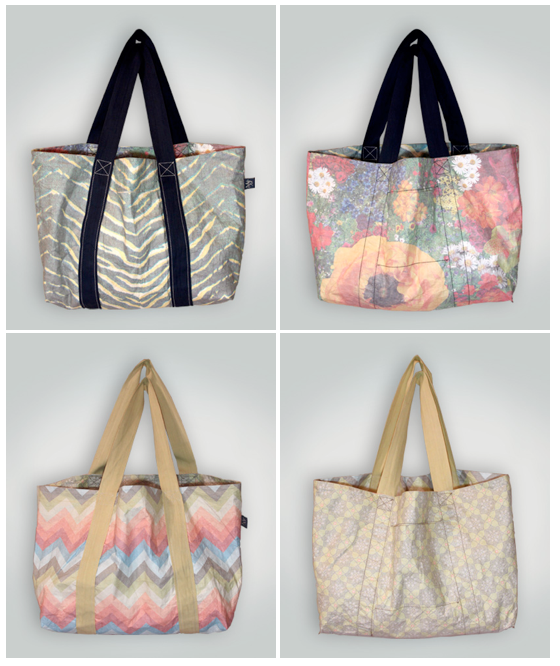 I love the reversible tote! I would spend it on the Sealife Reversible Tote and Sealife wine bag. I’d get the Sealife Reversible Tote. I would spend it on MANDALA MAMBA – GIFTING SET and the DECEMBERED – FLAT SHEET, and the paper chain kit. I would probably spend it on gift wrap. I especially like Oodles Gifting Set. 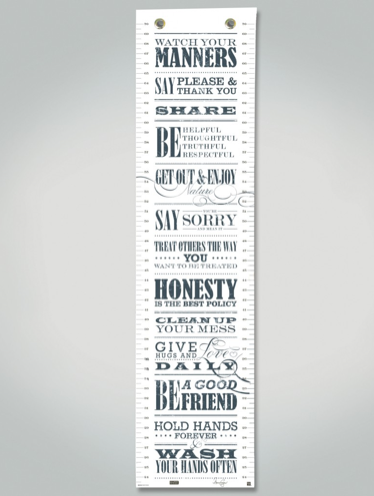 I would spend my $50 on the Rules to Live By Growth Chart. I’d get the girl A-Z wildlife print. I love the baby onesies and gift wrap, that’s what I would buy! There are so many awesome items! I think I’d pick up a Snow Drift Party Pack, a Mandala Wine Bag, a Paper Chain Kit (great idea! ), a Mash Up Pad & a set of bands in the Flurry Collection! I would buy the cards. They make such beautiful cards.